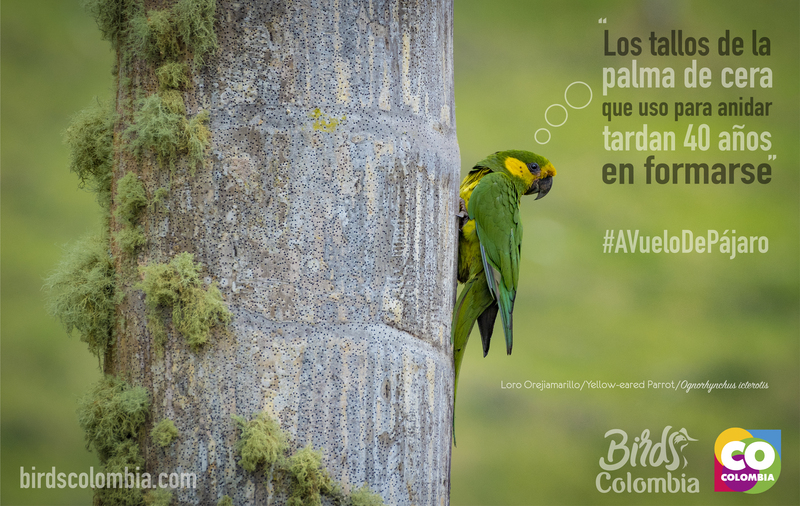 El periquito aliamarillo o cotorra pechiparda​ (Pyrrhura calliptera) es una especie de ave de la familia Psittacidae, endémica de la Cordillera Oriental en los Andes de Colombia. La temporada reproductiva dura 85 a 94 días, entre septiembre y noviembre. Anida en una cavidad natural. La hembra pone 5 a 8 huevos. The flame-winged parakeet (Pyrrhura calliptera), also known as the brown-breasted parakeet, is a species of parrot in the family Psittacidae. It is endemic to forest edge and shrub at altitudes of 1700–3400 m. on the east Andean slope in Colombia. It is threatened by habitat loss. The Brown-breasted Parakeet is one of two species of Pyrrhura parakeets that are endemic to Colombia. The Santa Marta Parakeet (Pyrrhura viridicata) is restricted to the Sierra Nevada de Santa Marta in northern Colombia, whereas the Brown-breasted Parakeet occurs only in Colombia’s eastern Andes. The plumage of the Brown-breasted Parakeet is mostly green, with maroon auriculars, a maroon belly and maroon tips to the rectrices. This is one of several species of Pyrrhura that have a buff or brown breast; in this case, the breast is pale reddish brown, with the paler tips to the breast feathers imparting a scaled appearance. More distinctive are the bright yellow wing coverts, giving rise to an alternative (and very appropriate) English name, Flame-winged Parakeet. This is a montane parakeet, occurring primarily between 1800-3000 m in evergreen forest. As do other species of Pyrrhura, Brown-breasted Parakeets fly in small, close flocks, often in twisting flight through the canopy, and feed on fruit and seeds in the canopy; otherwise little is known about the biology of this species. In view of its small geographic distribution, in a region subject to extensive deforestation, the conservation status of the Brown-breasted Parakeet is assessed as Vulnerable. Publicado en Endémica, PsittacidaeBookmark the permalink.